"We've already learned that each material object and each human being vibrates to an individual frequency of angstrom units (light waves) per second. 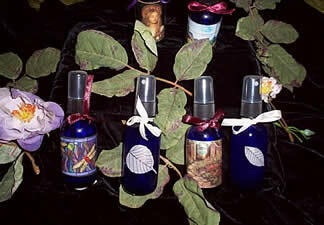 This is the life force energy responsible for universal harmony and synchronicity . 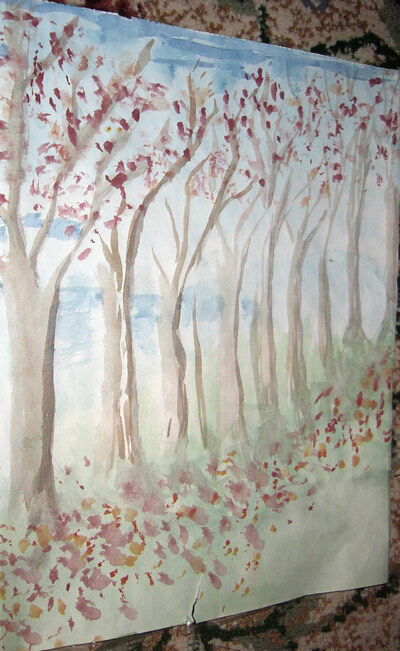 . . the forgotten rainbows and forgotten melodies creating the Oneness of the Universe established by Cleve Backster's Primary Cell perception discoveries. In India this life force energy is called Prana, but whatever it's called you could not live without it, and at present you're using only a fraction of its power. 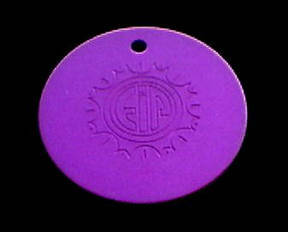 "The plates have been anodized with the color Violet, which is the healing ray of the rainbow spectrum. 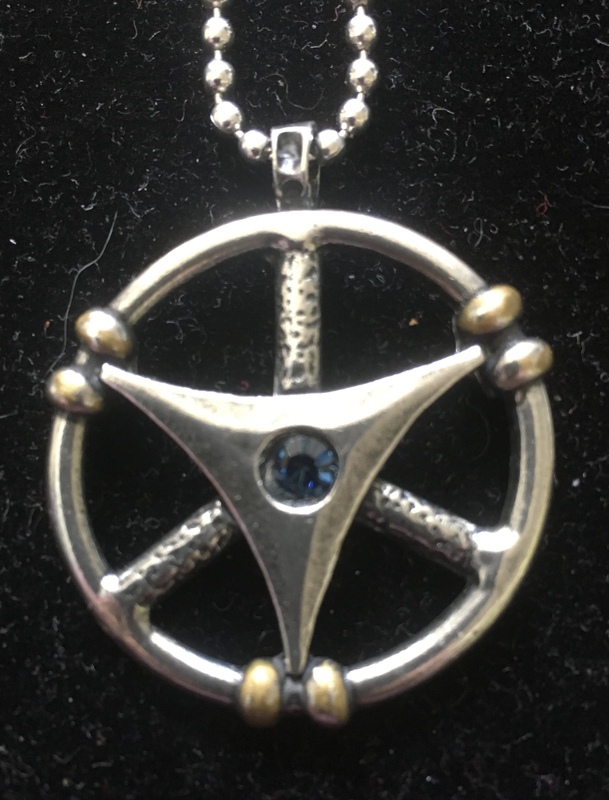 Their atomic structure has been altered, so that they are in resonance with a high-frequency vibration of the life energy force, in a complex way, connected with the known energy of negative ions. 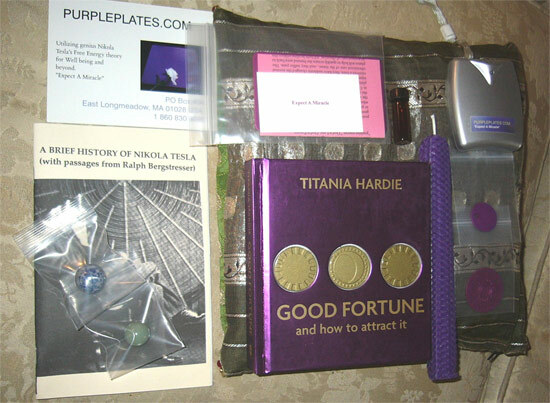 The "purple energy plates" (my own personal name for them) possess a field of energy capable of penetrating any living thing - plant, animal or human. The magic I personally find to be the most helpful, involves pain. 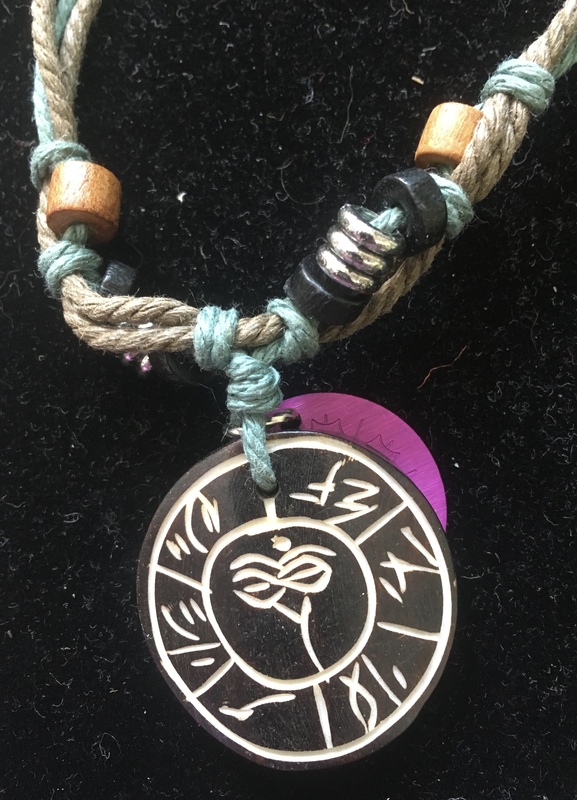 When a purple plate is placed on a burn or a cut or tied with a ribbon or cord on an ache or a pain anywhere in the body, healing is noticeably accelerated, and the pain either greatly lessens or disappears entirely with amazing swiftness, usually within five to ten minutes, seldom longer than twenty minutes. This is accomplished by the plate's energy in returning the injured cells or tissue to a normal vibration rate; thus the healing and disappearance of pain is due to the afflicted area being returned to the proper balance. One of the magics I've depended on numerous times is the energy plate's ability to remove the sensation of nausea almost instantly. 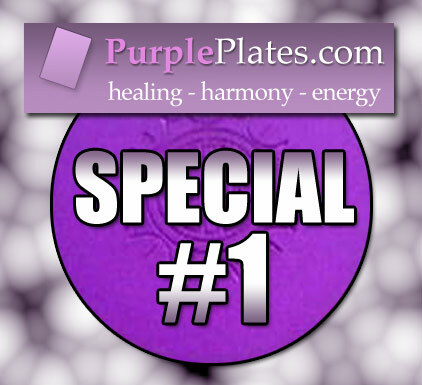 Any time I feel severe nausea, for whatever reason, I rush to get a purple plate, lie down on the bed on my back and place the plate on my solar plexus. The large size plate usually works more quickly in this instance, but a small one also does the job, taking only a few minutes longer. Using the plate in this way causes all sensations of nausea to disappear within no longer than five minutes, usually within one to two minutes and sometimes in thirty seconds. I don't know what I would do without that reliable pain and nausea reliever being always available when I need it in a hurry . Some of my friends sleep with the plate tucked into the pillow case (on the bottom side, not the head side) all night. They awake in the morning with more energy, and feel as if they've had a full eight hours' sleep, whether they have or not. A few people are unable to raise their vibratory rate in this manner because they're so sensitive to the energy, they stay awake all night! The plates have been in use by many people for more than fifteen years [written in 1988] - I've had my own for more than ten years - and they still function as effectively after that length of time. Once the structure of the atoms of the aluminum have been altered, they will remain in that condition probably indefinitely. The plates are not "charged"; they are simply altered to vibrate with life force energy of the Universe - what Nikola Tesla called "free energy.""